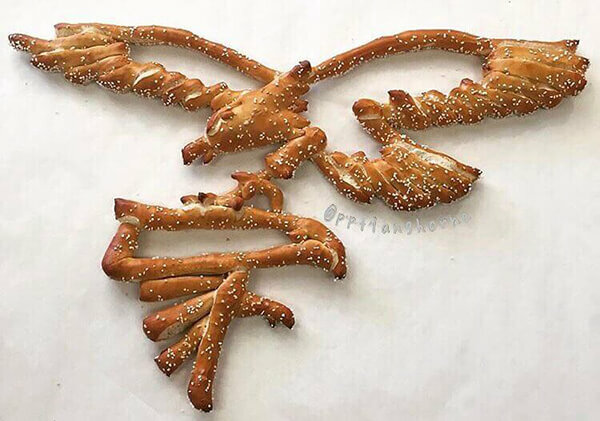 Pretzel is a type of baked bread product made from dough most commonly shaped into a twisted knot – a distinctive non-symmetrical form, with the ends of a long strip of dough intertwined and then twisted back into itself in a certain way (a pretzel loop). 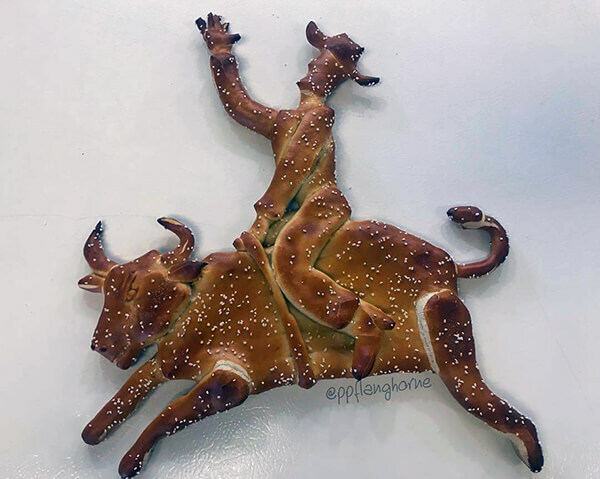 However, in these days, bakers start to add more and more creative ideas to this traditional bread and give its a new life form. 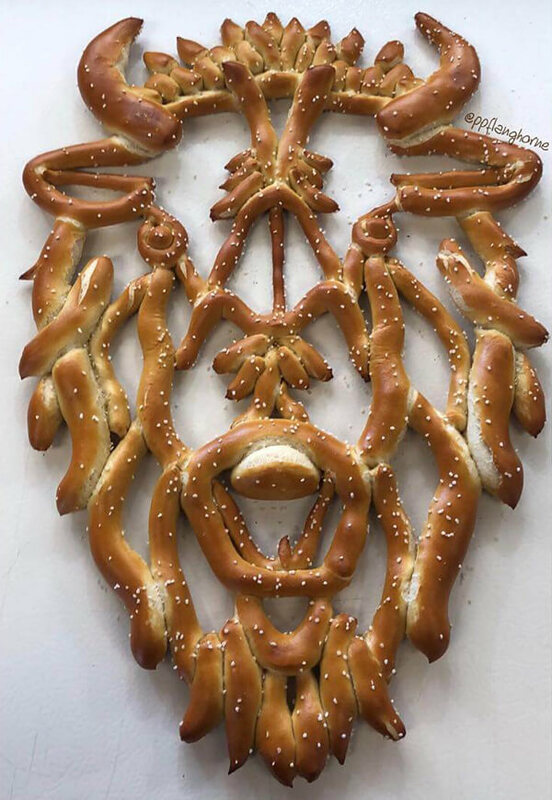 Just like the pretzel art created by Pretzel Factory, their soft pretzels can be shaped into so many different shapes and the possibility is endless. 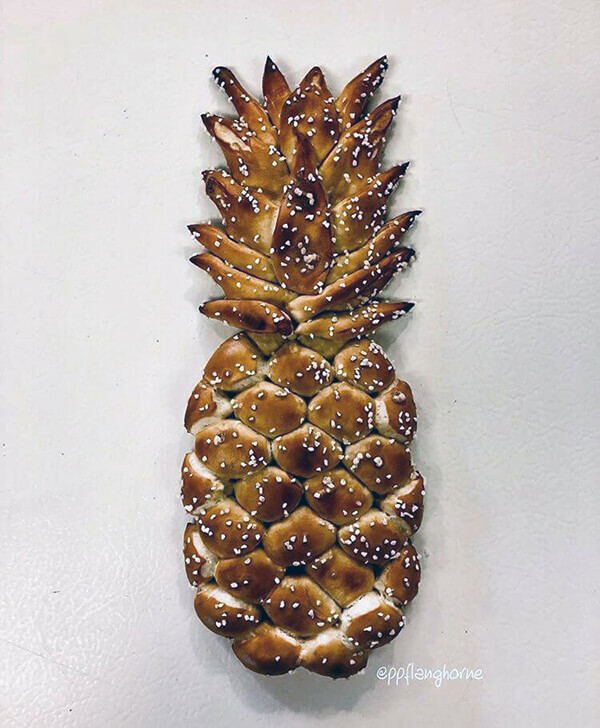 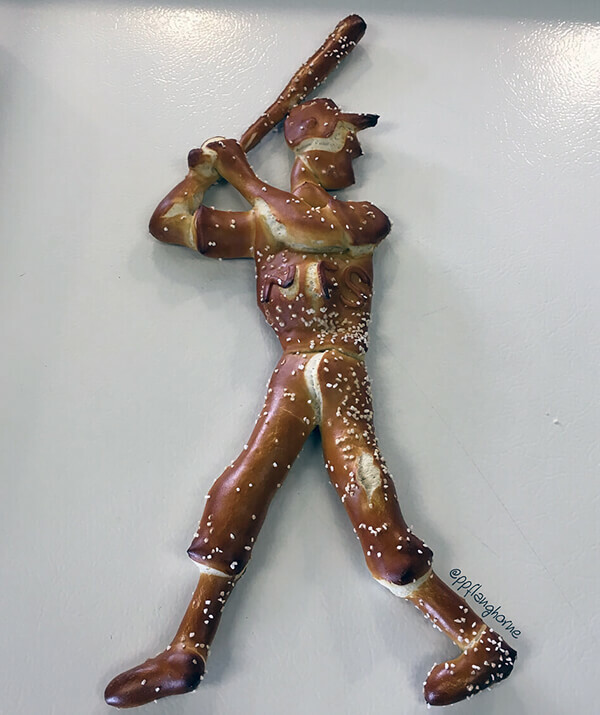 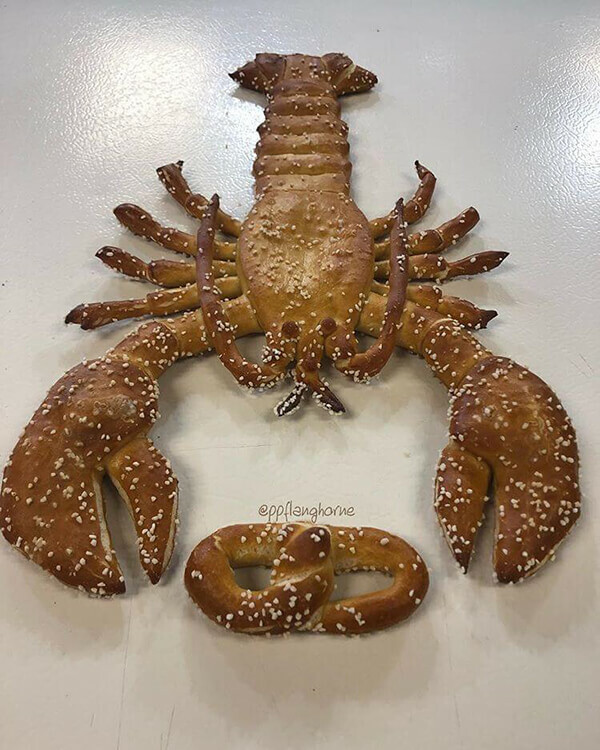 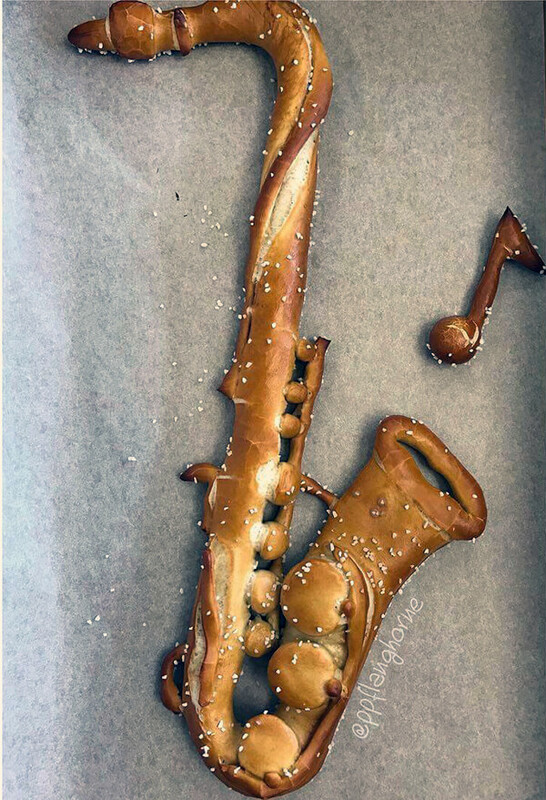 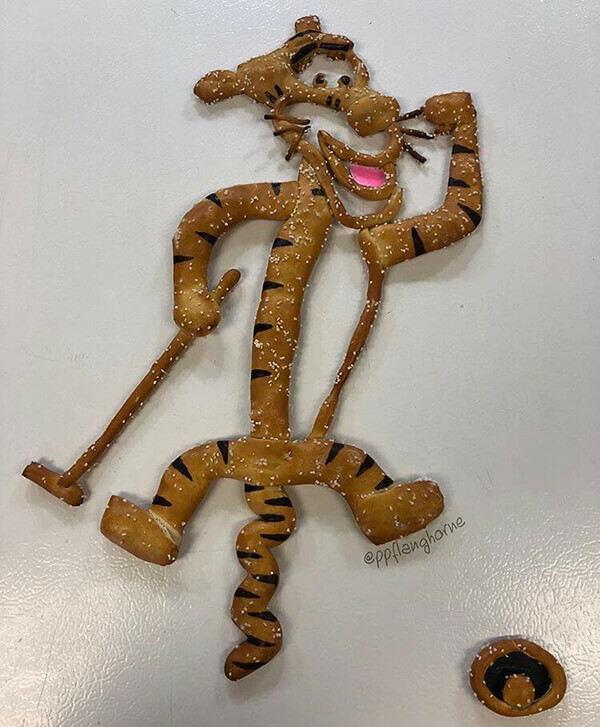 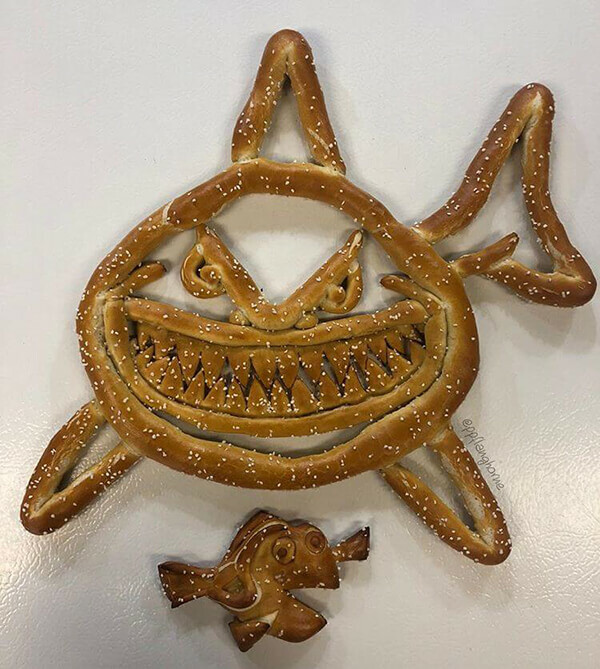 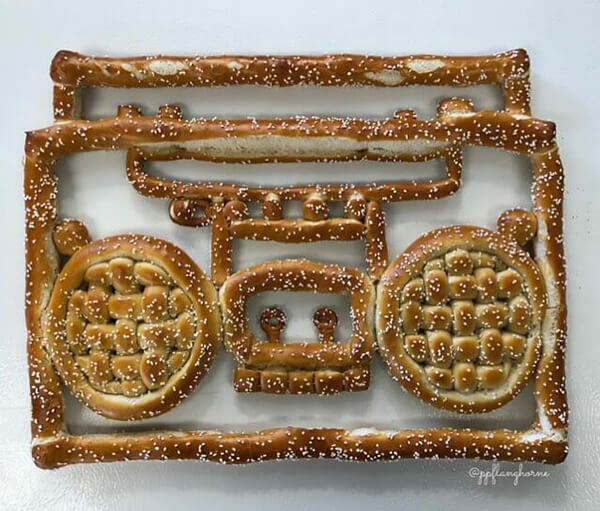 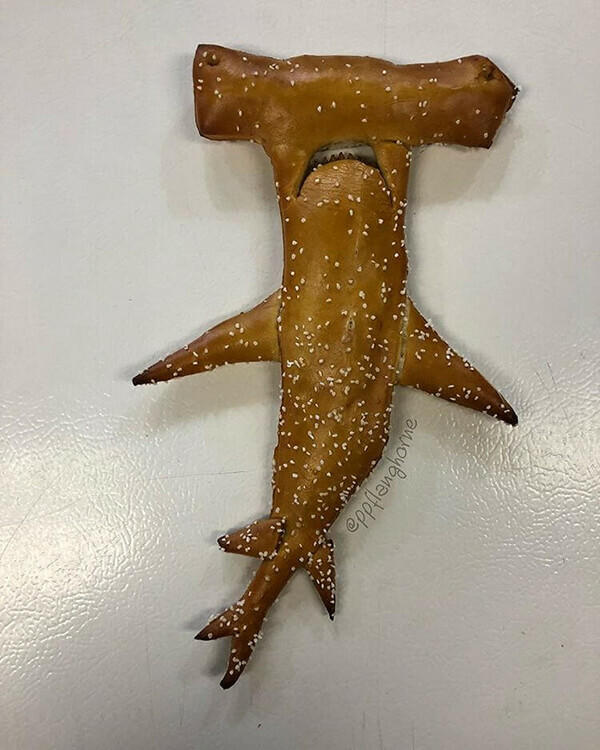 Although I am not a big fan of the salty bread, I don’t mind having a bite on these cool-looking pretzel. 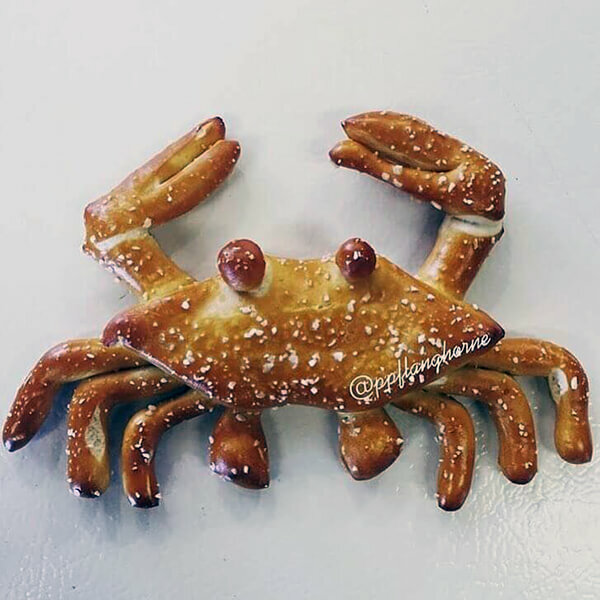 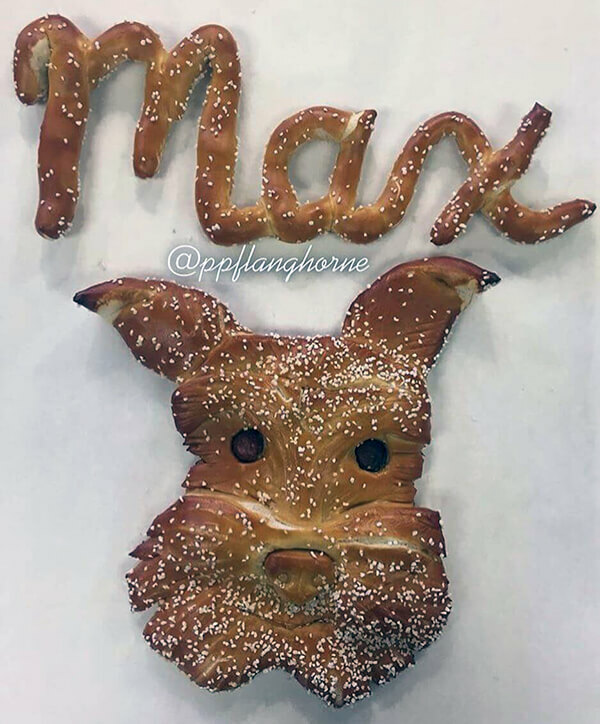 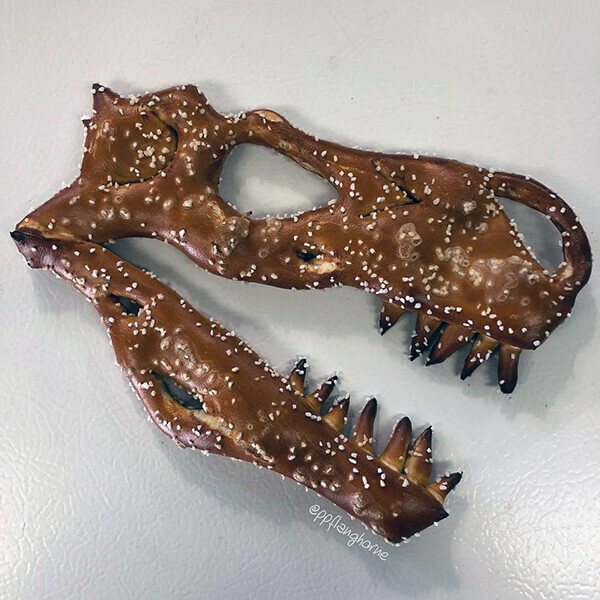 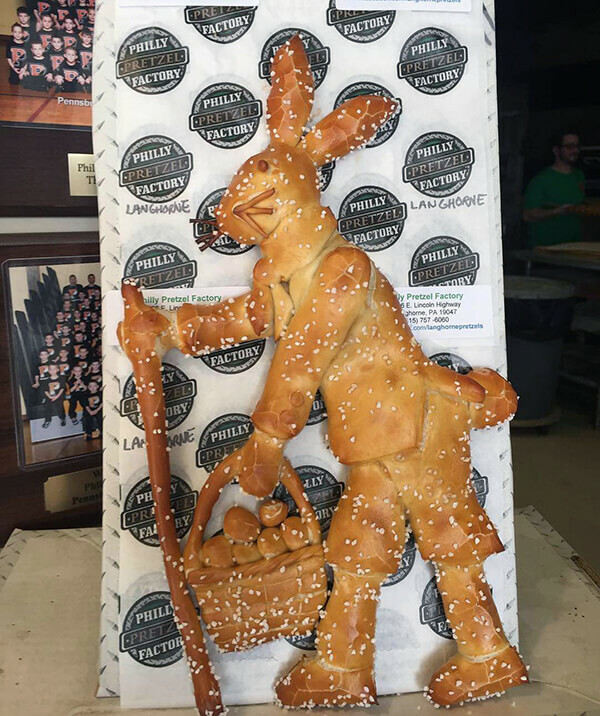 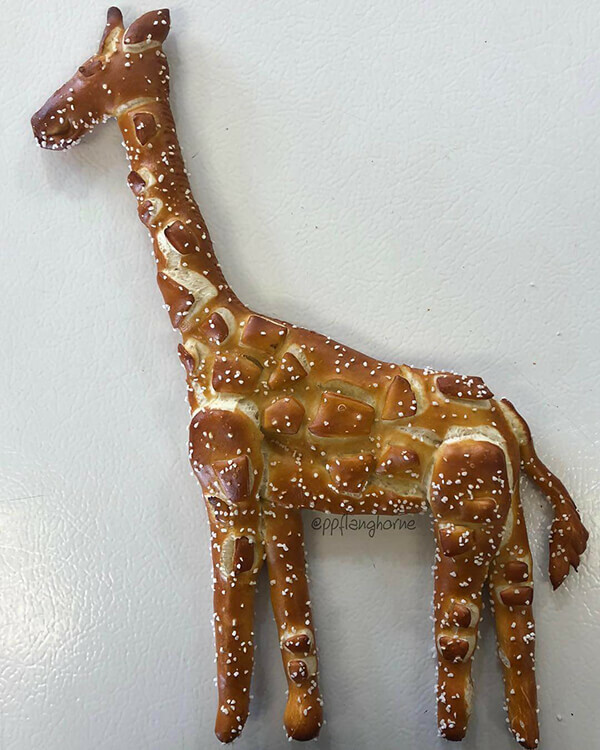 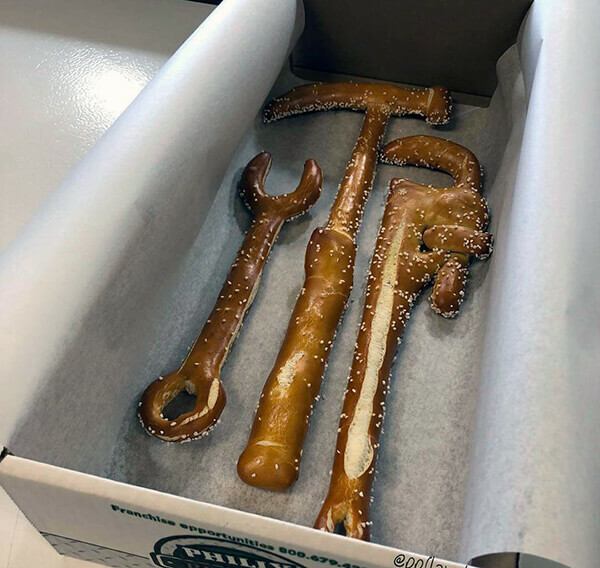 Below are some of their creation and you can find more on Pretzel Factory’s Instagram page.